1782: In the bustling settlement at the Cape of Good Hope, traders, politicians, farmers and fortune-seekers compete for goods, land and power. It is here that Geert Baardwijk, a wealthy Dutch heir, finds himself drawn to Lena, a young slave he has inherited from his father. Bartered and sold into slavery as a child, Lena pines for the Madagascan highlands from within the cloistered confines of her master’s townhouse. When Geert marries a woman from the upper strata of Cape society to preserve his wealth and status, he is forced to confront his own responsibilities and failings, as well as the true meaning of love and fatherhood. Spanning more than eighty years, Softness Of The Lime tells of traditions old and emerging, at a time in the Cape when competition for ownership of everything – including people – was at its peak. 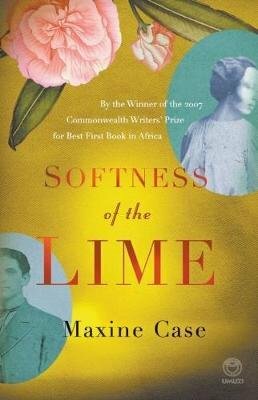 Drawing on the history of her own ancestors, Maxine Case mesmerises with this compelling story of passion and integrity, love and betrayal.